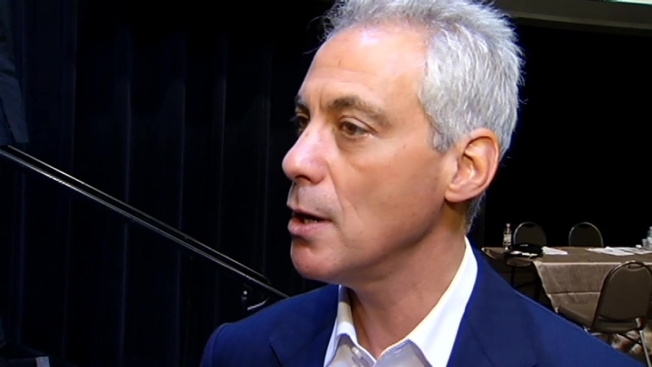 Mayor Rahm Emanuel is touting the benefits of landing the 2015 NFL Draft. The mayor and NFL commissioner Roger Goodell announced Thursday that the three-day event will be held at the Auditorium Theater in Chicago's South Loop from April 30 to May 2. "There is economic development and job creation. There is prestige that comes with it. We show off the city to 50 million people. We are the heartland, there's incredible sports fans," Emanuel said. Officials at the storied theater are waiting to hear their marching orders. "We have not heard specifics from the NFL yet, but I am pretty sure the building can accommodate it," executive director Brett Batterson said. "It's accommodated everything from political conventions to softball tournaments to ballet to being a bowling alley in World War II. I think it will work." The choice reportedly came down to Los Angeles and Chicago. The league was forced to look for another venue after a scheduling conflict at New York's Radio City Music Hall. The announcement is a major coup for the city, which in recent months has wooed the James Beard Awards from New York and the George Lucas Museum from San Francisco. It also means a big boost for tourism. 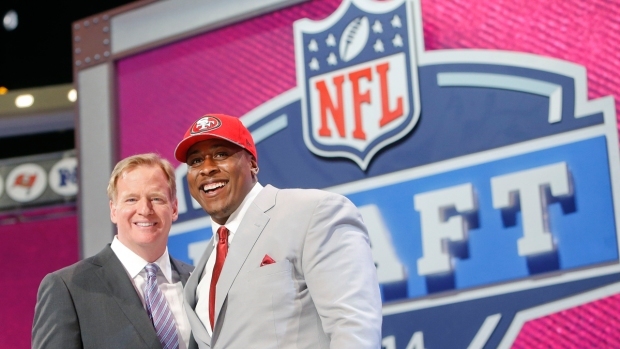 The NFL has reportedly already booked 5,000 rooms. "The NFL Draft is obviously one of the largest events media-wise and attendance in the country, so to bring that to Chicago is huge," said Kara Bachman of the Chicago Sports Commission. Emanuel says the impact will spread beyond the downtown core. "The NFL made a commitment to invest in our neighborhoods and our Park District sports activities, so our kids are going to be winners and our neighborhoods are going to be winners," Emanuel said.